(Estimated) iPhone 6 & iPhone 6 Plus - Price, Release Date & Specifications in Malaysia. Apple's latest products finally released in the market. A lot of haters have been commenting badly about it. All I can say is.....what Apple sells is the lifestyle, the lifestyle created by Steve Jobs. 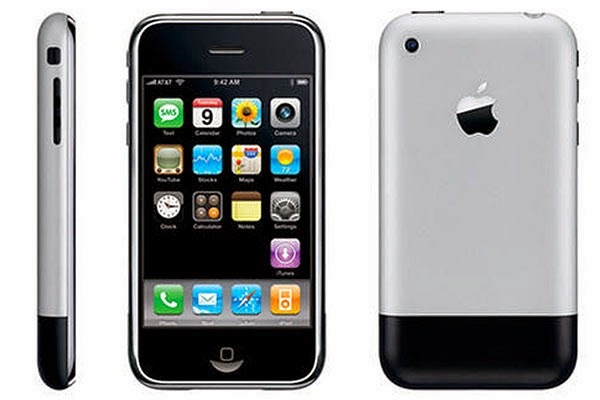 Remember the very first iPhone ever created by Apple? Oh yes, the iPhone 3. I am not a very loyal Apple fan. I don't purchase every single model created by Apple. 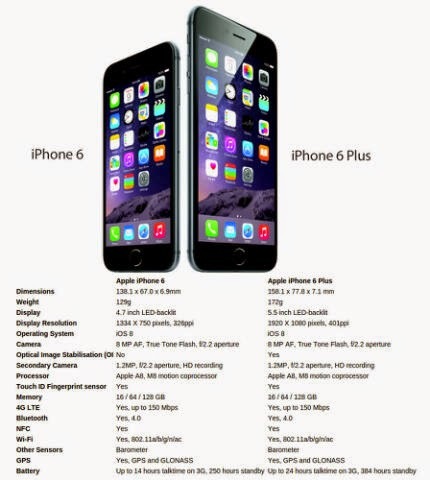 These are the specifications of the iPhone 6 and 6 Plus. The only difference between these two phones is the screen size. 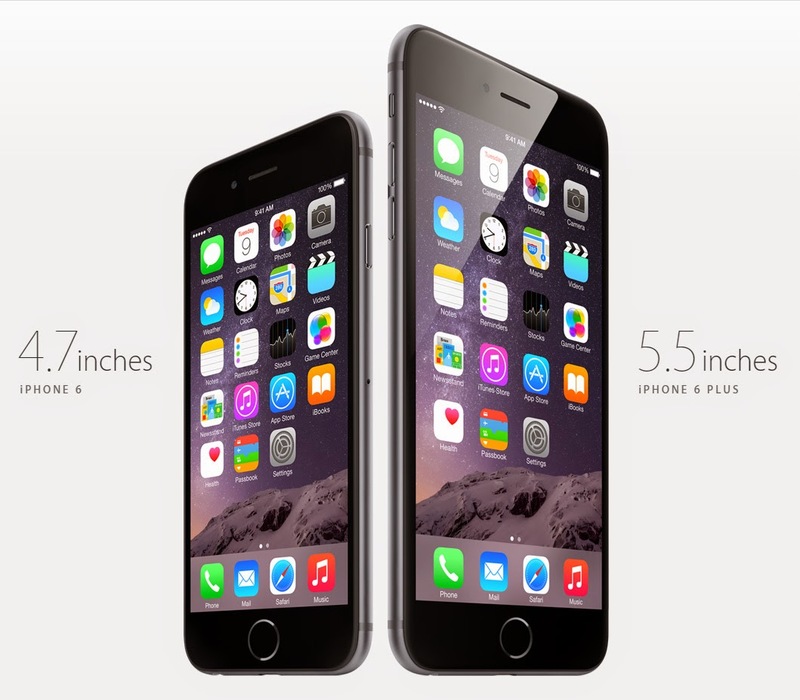 iPhone 6 comes with 4.7 inches of screen whereas iPhone 6 Plus comes with 5.5 inches of screen. Pre-order for these iPhones starting from 12th of September. They will be available in US, France, Canada, Germany, Hong Kong, Singapore, United Kingdom, Australia and Japan on the 19th of September. Whereas, the estimated date for other countries, like Malaysia will be available two weeks after them. 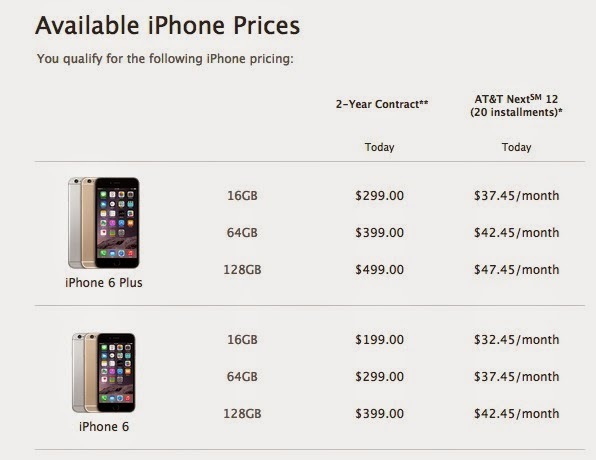 These are the price in US for the phones. Both iPhone 6 and iPhone 6 Plus do not have the version of 32GB. Two Pesos Steamboat, SS2 + Mr & Ms, Oasis. (Review) Cathy Doll Doom Doom Breast Cream. How to Get the V-shaped Face without Surgery? Latest Fashion Handbags Trend - FOOD?!? Sony Alpha Workshop @ Malacca.